A priory of Arbroath (Monks of the Order of Tiron), was founded at Fyvie by Reginald le Chen in 1285, and was dissolved c.1508. The OS entry is taken from the NSA (1845) which states that the outline, and possibly the chapel of this priory, were still visible in 1840 on a gentle eminence about 150yds north-east of the Bridge of Lewes. The OS 6" map, 1901 shows a rectangular feature which evidently represents these remains. NSA 1845; Name Book 1871; D E Easson 1957. All that survives of the 'rectangular feature' is a rough stony platform about 15.0m E-W by about 8.0m transversely. 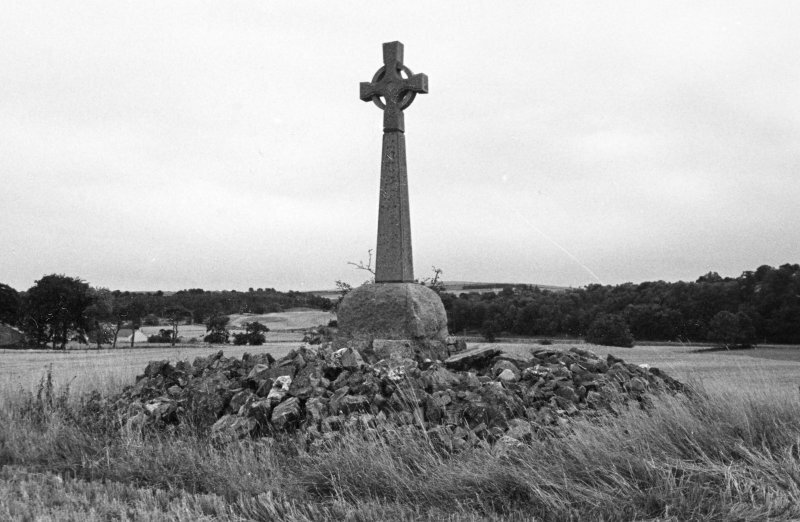 There are no traces of building foundation and much of the platform is by a modern mound of stones in the centre of which stands a 19th century cross. Visited by OS (ISS) 6 February 1973.